body mass index (BMI) and end organ damage caused by WCH. evaluated and albumin levels were measured. LVM values were 96.29±25.6g/m2 and 170.87±50.17g respectively. without a significant change in the blood pressure values. veya ev ölçümleri sırasında kan basınçlarının normal seyretmesidir. kabul edildi. Hastalar uç organ hasarı yönünden değerlendirildi. hastalarında kardiyak yetmezlik daha sık ve erken görülmektedir. 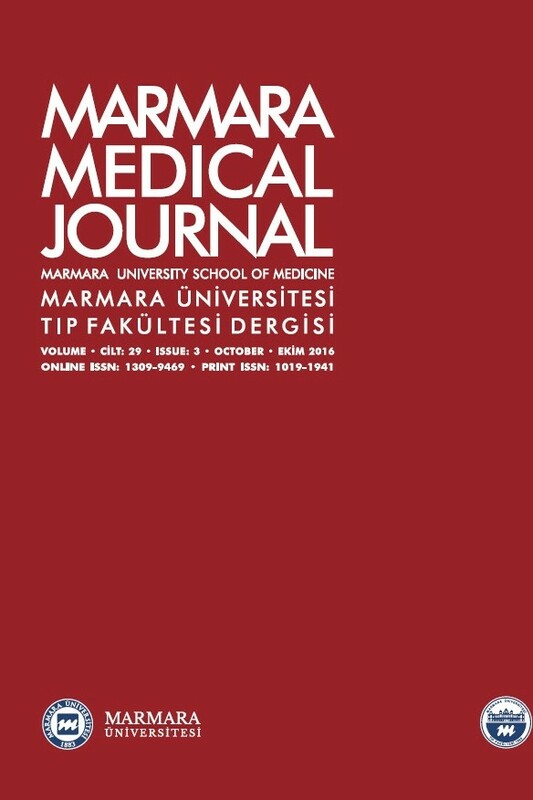 anlamlı değişiklik olmaksızın uç organ hasarı oluşabilmektedir. 7. Seravalle G, Grassi G. Obesity and hypertension. Pharmacol Res 2017;122:1–7. doi: 10.1016/j.phrs.2017.05.013. 9. Wagener HP, Clay GE, Gipner JF. Classification of retinal lesions in the presence of vascular hypertension: Report submitted to the American Ophthalmological Society by the committee on Classification of Hypertensive Disease of the Retina. Trans Am Ophthalmol Soc 1947; 45: 57-73. 11. Julius S, Mejia A, Jones K, et al. “White coat” versus “sustained” borderline hypertension in Tecumseh, Michigan. Hypertension 1990; 16:617-23. 12. Muscholl MW, Hense HW, Brüockel U, Düoring A, Riegger GAJ, Schunkert H. Changes in left ventricular structure and function in patients with white coat hypertension: crosssectional survey. Lancet 1998;317:565-70. 14. Owens PE, Lyons SP, Rodriguez SA, O’Brien ET. Is elevation of clinic blood pressure in patients with white coat hypertension who have normal ambulatory blood pressure associated with target organ changes? J Hum Hypertens 1998;12:743-8. 15. Martínez MA, Moreno A, Aguirre de Cárcer A, Cabrera R, Rocha R, Torre A. Frequency and determinants of microalbuminuria in mild hypertension: a primary-carebased study. J Hypertens 2001; 19: 319-26. 17. Kristensen KS, Hoegholm A, Bang LE, Gustavsen PH, Poulsen CB. No impact of blood pressure variability on microalbuminuria and left ventricular geometry: analysis of daytime variation, diurnal variation and ‘white coat’ effect. Blood Press Monit 2001; 6:125-31. 18. Palatini P, Mormino P, Santonastaso M, et al. Target-organ damage in stage I hypertensive subjects with white coat and sustained hypertension: results from the HARVEST study. Hypertension 1998; 31: 57-63. 19. Schmieder RE, Messerli FH. Does obesity influence early target organ damage in hypertensive patients? Circulation 1993; 87:1482-88.